Ford Lincoln exhibits in auto shows throughout the year to launch and showcase its vehicles. The success of these events is measured by monitoring attendees, vehicles exhibited, any problems or issues, competitors and other information. Latitude Software, a provider of strategic technology for business, partnered with Flowfinity to streamline the way data is gathered at Ford Lincoln auto show exhibitions across the United States. Previously the representatives at auto shows were using Word documents to provide feedback on the events. The same survey questions were not relevant for each event, which led team members to edit the documents and fill in different information by adding or removing their own sections. As a result, the data was not always consistent. Questionnaires were also completed at the end of the day or week instead of on the floor as the events happened. With this process of filling in documents and emailing attachments, there was no consistent way to track when shows were completed and which paperwork was outstanding. Latitude Software provides the technology systems for gathering Ford Lincoln survey data at auto shows. Tony Gambee, the company's Founder and President, wanted to streamline the way that this critical information was collected and processed. "We wanted to provide a more efficient way to gather, report on and present the national auto show survey data required by Ford Lincoln," said Gambee. "We knew that migrating the survey process to mobile devices would provide immediate time savings and increase the accuracy of the information." 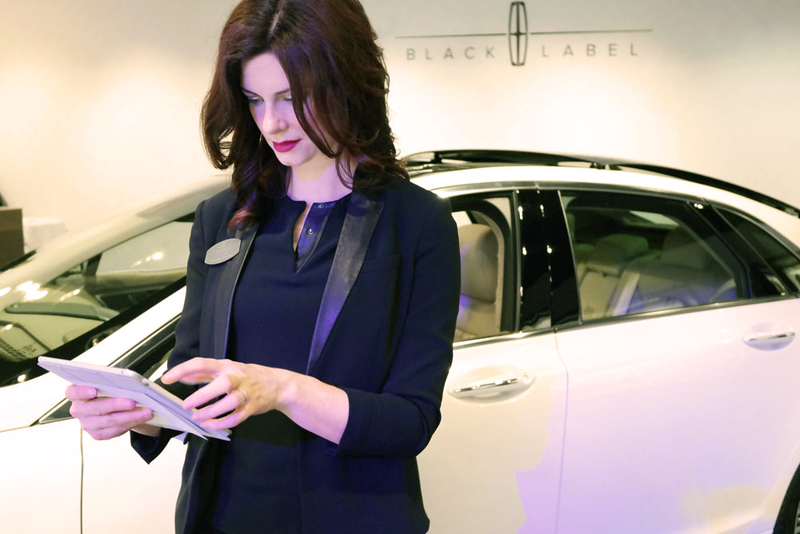 Latitude Software partnered with Flowfinity, an enterprise mobile app software platform provider, to mobilize Ford Lincoln's data collection requirements at auto shows. Now, survey data is collected more consistently and reliably using Flowfinity apps on mobile devices. The surveys are more targeted because they can be easily tailored depending on the show's requirements. Surveys can also be completed immediately instead of after the fact, delivering more timely and accurate data. Flowfinity provides a configurable software platform that allows mobile apps and mobile forms to be created and published without programming. By leveraging Flowfinity software, Gambee and his team can quickly customize mobile solutions to fit the specific needs of different clients. Making adjustments to apps is also efficient since changes can be made without programming and instantly published to all app users. The apps automatically work on different device platforms including iOS and Android. "Flowfinity has a good support system, it's effective, and it makes the value of the mobile system better when we don't have to write code for new features or device platforms." "Flowfinity has a good support system, it's effective, and it makes the value of the mobile system better when we don't have to write code for new features or device platforms," said Gambee. "Flowfinity is always adding product enhancements, which means that we can turn around and deliver new features to our customers as soon as they ask or even before they ask." Flowfinity software allows us to cost-effectively deliver custom apps to Ford Lincoln for surveying auto shows nationwide. Ford Lincoln uses these apps to evaluate the effectiveness of each event and collect valuable competitive information.